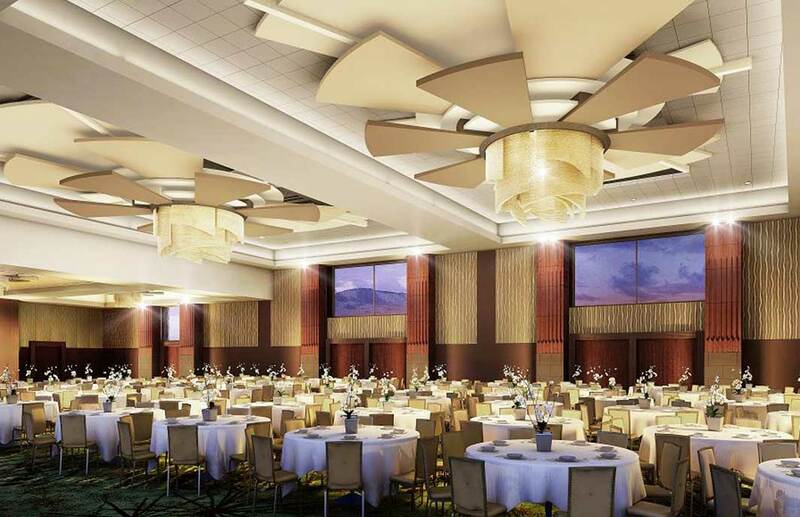 The Phoenician Conference Center expansion project is a 50,000 square foot addition to the existing Phoenician Resort, and includes a new 15,000 square foot ballroom, 8,000 square foot arrival and pre-function area, as well as a new kitchen and back of house areas. The project includes a new conference center entry drive, expanded Porte Cochere area for conference guest arrival, new services and utilities, and substantial improvements and modifications for the betterment of the existing Oasis golf course. The facility augments the existing Phoenician ballroom conference space and features state-of-the-art AV and presentation capabilities. The addition overlooks both 18-hole golf courses and the surrounding Camelback Mountain, giving guests a feeling of connection with the outdoors, as well as an interior design that brings the feel of the native surroundings inside. Centrally located in the metro Phoenix/Scottsdale area, the Phoenician is in close proximity to Sky Harbor Airport, Downtown Scottsdale, and the Biltmore area, making it a top tier conference resort destination.